This entry was posted on February 26, 2014 by Phoebe Darqueling. 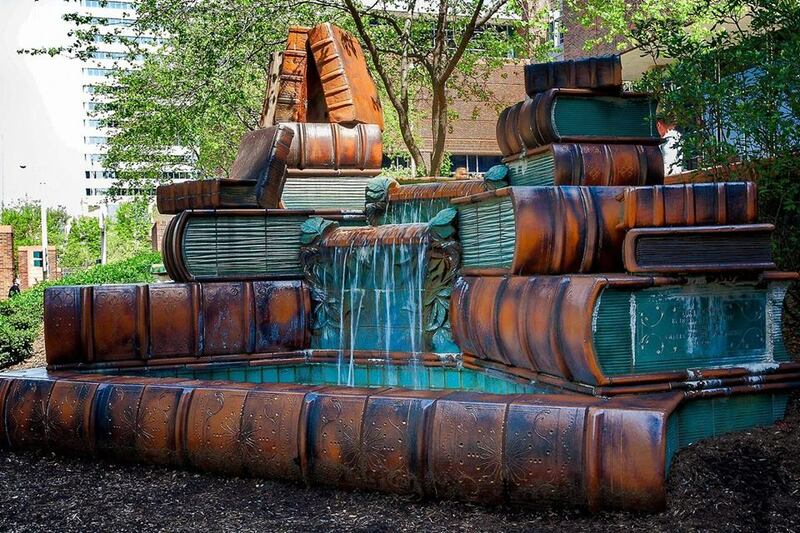 It was filed under Artwork and was tagged with book fountain, book sculpture, Cincinnati library, library art, Steampunk, steampunk blog. That’s fabulous. I love the contrasting colours and the detail of life growing out of books. Yeah, who knew there was such a good reason to visit Cincinnati?